Creating harmony between you and your pets. Are you struggling with problems with your dog or cat that you just don’t know how to handle? Whatever your needs, we can help! Elise Gouge, the only certified animal behavior consultant in the Pioneer Valley, and her team of trainers work in CT, Western Mass, Hampden and Hampshire counties to provide pet owners with the highest level of skilled dog training and behavior modification. We’ll help you understand what’s going on and, even better, give you a concrete plan for reaching your goals (and work with you to get there). Let our positively effective experts start making your life easier and more harmonious today! Have a new puppy? We have a program to help you get started on the right foot (or paw!). Group classes, Right Start Puppy (private lessons), and Puppy Raiser Program (board and train). Does your dog need to learn some basic manners such as walking nicely on leash, not jumping on visitors, and coming when called? We offer custom, private training – in your home or at the farm. We can even do the training for you! Are you struggling with behavior issues and problems with your dog or cat that you just don’t know how to handle? A behavior consultation is exactly what you need to restore harmony to your home. Whether you’re away or on a staycation, or are simply too busy to train your dog, gift your pet with a fun training camp – and when you return, you’ll be pleased to see how well-mannered your dog has become. Group classes & seminars are a fun and affordable option for training your dog. Get help with common behavior problems and teach your dog great manners. 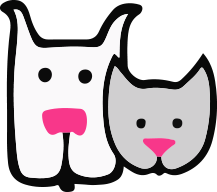 We offer hands-on help and consulting for doggy daycares, veterinary hospitals and other pet professionals. Train your staff to be the best they can be for your clients!